A regular co-driver, Kiwi ace John McIntyre has been away from the Supercars scene for five years since his last appearance in the category. 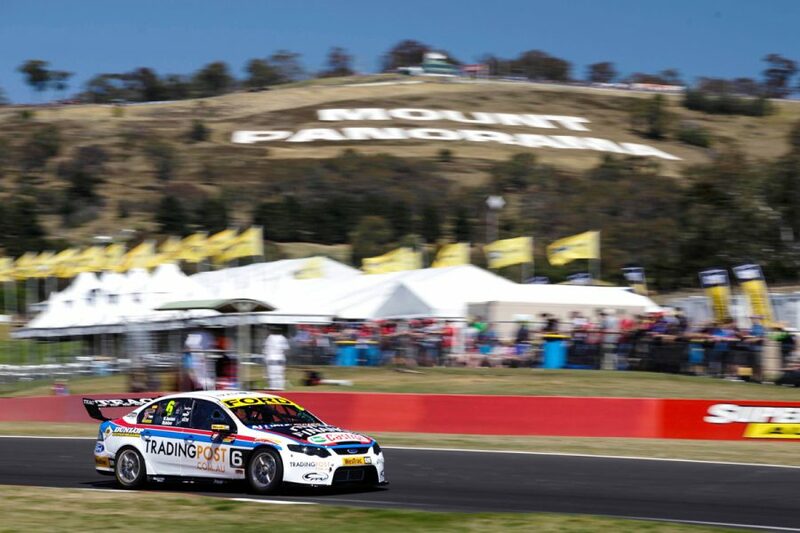 ‘Johnny Mac’ drove for plenty of big teams in Supercars, including Stone Brothers Racing and Ford Performance Racing, and was Shane van Gisbergen's first co-driver at Bathurst. We caught up with the multiple NZ V8 tin-top champion, to see what he’s up to these days. The past before the present... what makes up a day in the life of John McIntyre in 2018? There are quite a few things. I run a Trail Run, Walk and Cycle marathon in Nelson Tasman. I’ve also got a company called Branded Beer, which are corporate gifts that you can add your own company’s touch to. And I’ve still got some of my own racing in the New Zealand Endurance Series. I also manage a young driver Brock Timperley, sponsorships - there’s a bit going on! Do you compete in these events yourself? No, I just run them and try to make a success. I always do the distance on the bike beforehand to ensure everything is going to run OK. 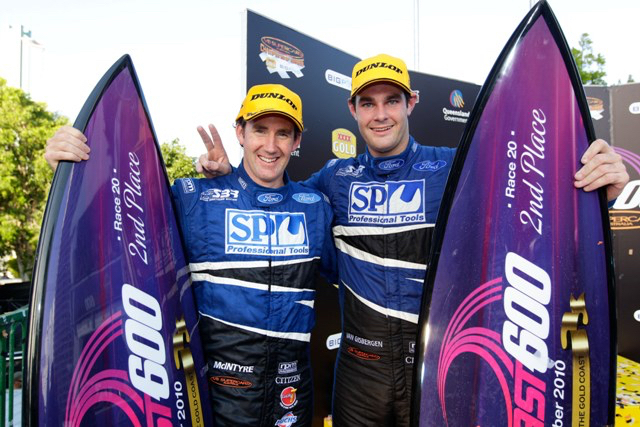 Your Supercars career took you through all of the highs and lows with a number of different teams – Team Kiwi Racing, WPS Racing, Stone Brothers, and Ford Performance Racing. I got my first opportunity with TKR in 2002, which I won by having a run-off against Angus Fogg at Winton. That was my first taste of a Supercar. That gave me the opportunity to drive with Jason Richards, which was really special. Even in JR’s early days as a V8 driver, I learnt a huge amount off him. I didn’t have anything for a couple of years. 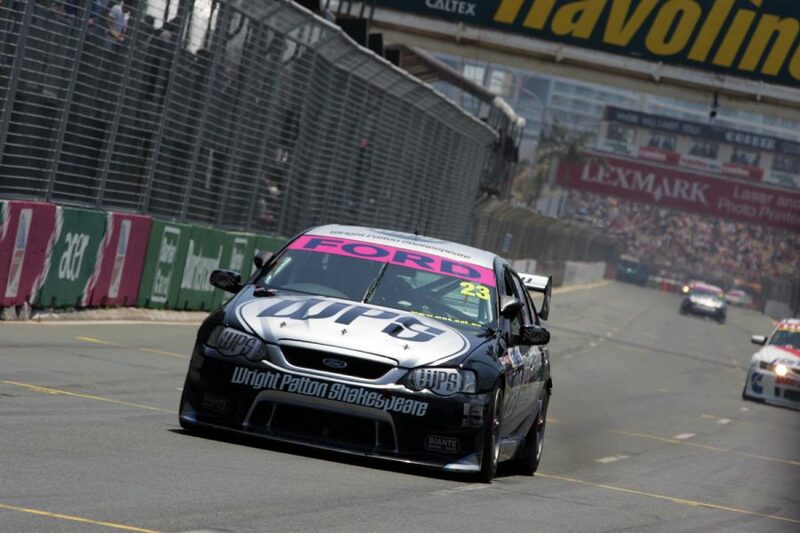 Anytime the V8s came to Pukekohe I was banging on doors and trying to get a drive in the endurance races. A deal with WPS Racing popped up and I did that for a year (2004), and then again I was out of the picture for a couple of years. I did a few Development Series (Super2) races just to get some miles back and then Ross Stone approached me with a drive alongside Shane van Gisbergen in the Team Kiwi car. That was Shane’s debut season (2007) being run as a third SBR car. It was awesome to be a part of his first campaign. 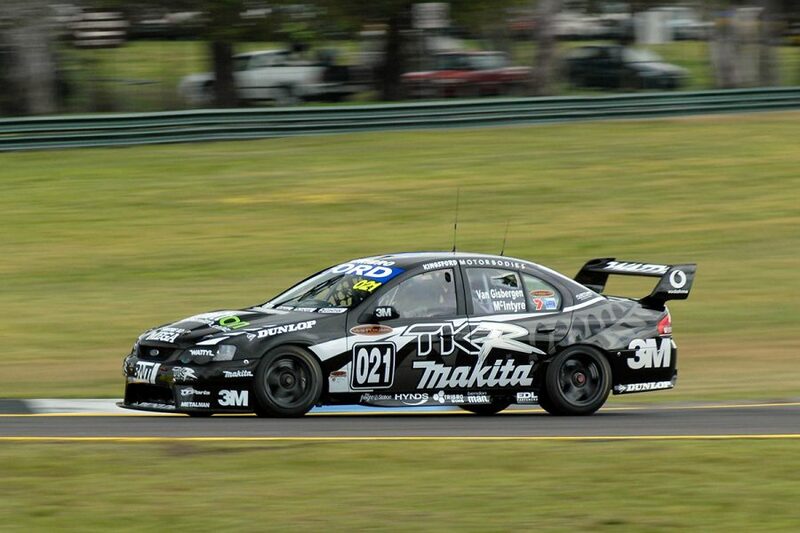 I missed Bathurst in 2008 but I did the Phillip Island 500 with Paul Cruickshank Racing alongside Fabian Coulthard. That was a really good car and team. That drive gave me the chance with SBR for the next three endurance seasons, which was fantastic. Again, Shane was starting to progress as a driver, the cars were good, and the ultimate goal for me was to win Bathurst. I guess the first goal as a driver is to race in the Bathurst 1000, but then when you get there and do it, all you want to do is win it. Ultimately, I didn’t win that race, but we were in with a crack on a few occasions. I got a couple podiums at the Gold Coast (2010), a fifth at Phillip Island and a sixth at Bathurst with Shane in 2011. 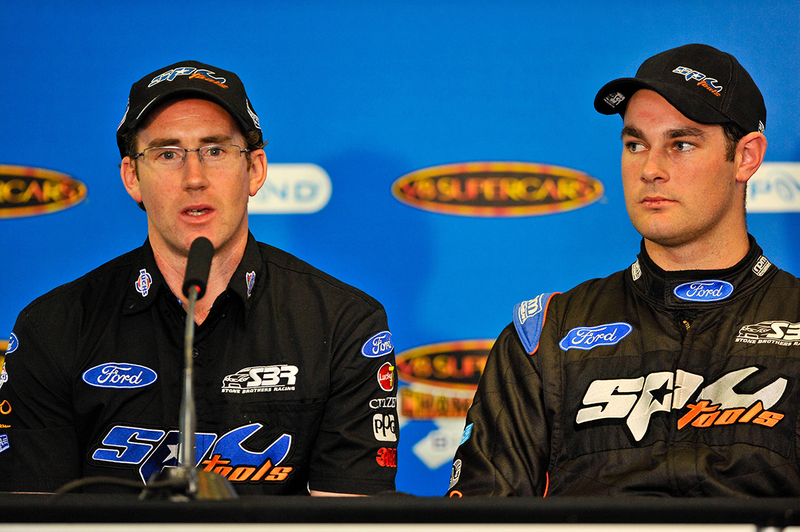 Your stint at FPR alongside Will Davison in 2012 was, really, your best opportunity at Bathurst. Leading team, fast lead driver, but it was the one that went begging. That was my chance to win that race. Cars on pole at Bathurst are not always a good omen, but what I’ll say is that when the car was working well, we were both leading our stints and had the pace to win the day. We had car issues, tyre issues and I made mistakes and it was never going to be our day with a broken front bar on about lap 35. It was horrible watching it all slip away. 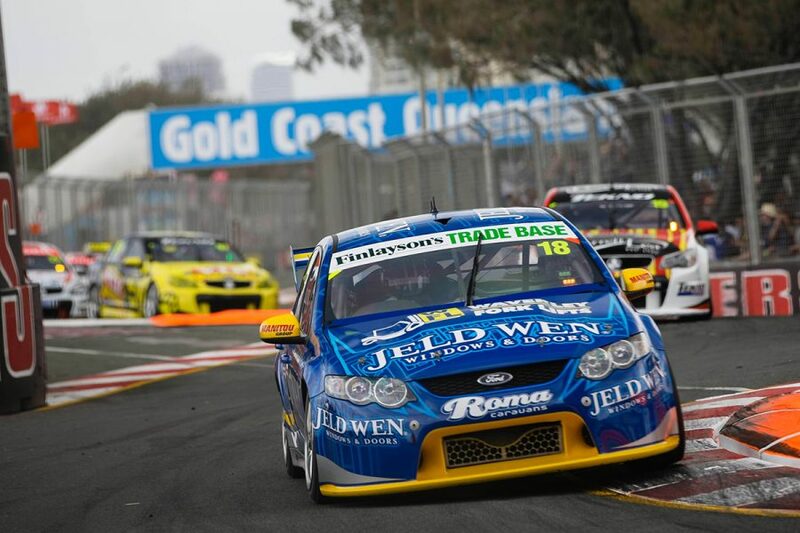 The next year I came back with Alex Davison in what was the fourth FPR Falcon. That was a really quiet campaign. You disappeared off the scene after that race and we haven’t seen you back in a Supercar since. After those two years with FPR I decided that I wanted a break. It was intense running a full program in New Zealand and then coming to Australia for the big races. After going so close on a few occasions and getting the big opportunities, was it gut-wrenching to see it so close, yet so far? I would have loved another chance in the lead car at FPR. I think that would have been really good to have. In 2012 there was so much pressure on their three front cars to win the race. And in 2013 they went there and won the race. Another year on, maybe things would have been different, but as I say, when the car was good, I could hold my head up knowing that I could do the job. But it was an awesome ride, and it helped me in so many ways and I couldn’t have done it without all the great people who threw me a drive when I didn’t really have a lot of experience. At the time, I was one of few just doing the co-driving without a Development Series program. But they were all very enjoyable times and I have no regrets. Those three years with SBR are something to look back on fondly, especially the two podiums at the Gold Coast event in 2010 with SVG. We came off Bathurst where we were in for a podium where we did a steering arm with 15 laps to go. That was heart breaking. We went to the Gold Coast and we got a third on Saturday, and on the Sunday, Shane was all over Jamie [Whincup] in the final stages of the race but we fell just short. It was an amazing, hard race. That was when Shane was just starting to hit his straps.